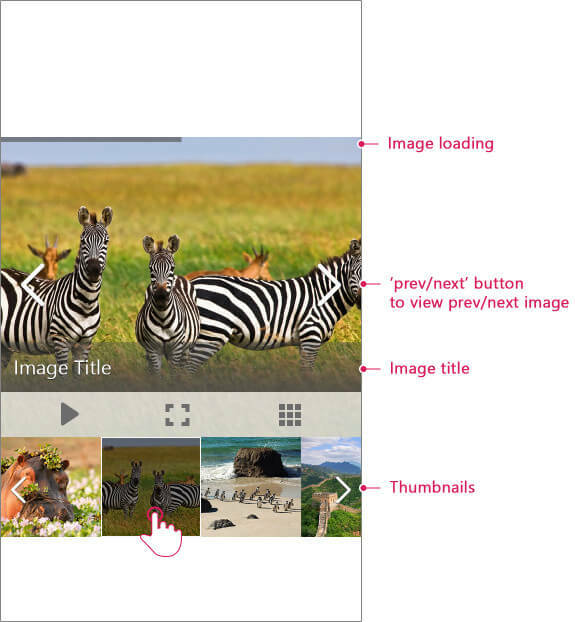 You can enable the mobile layout of the control by setting the RenderMode property of the ImageGallery to "Mobile". To cover the rendering of both mobile and desktop devices, you could set the RenderMode property to "Auto". This option will automatically decide how to render the control on a smartphone, tablet or PC. When you change RadImageGallery RenderMode to Mobile or Auto there are some key structure differences compared to the classic version. 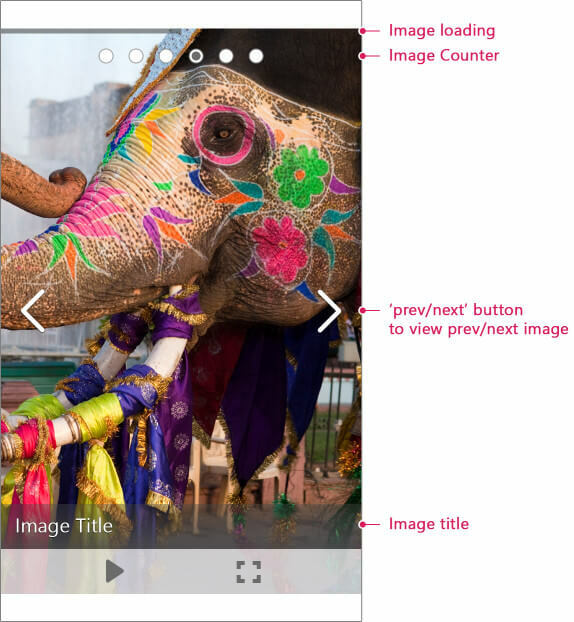 Image title and description – The description is visible in full screen mode only while the title is visible in both normal and full screen mode. Navigation buttons – They are visible in normal mode only and not in fullscreen. Image loading bar – It is positioned at the top of the image. 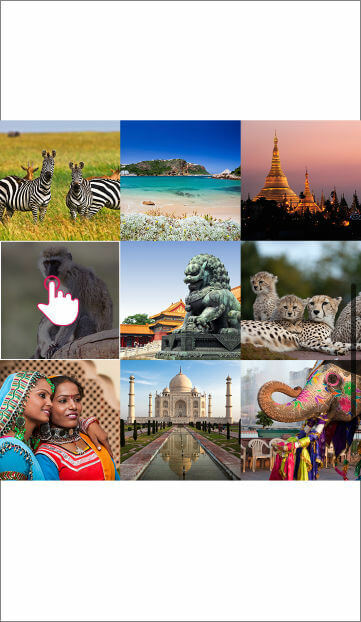 Image counter (Image Slider mode) - It is positioned at the top of the image.